Growing up, Lawrence Toll dreamed of being a pitcher for the Los Angeles Dodgers. “It turns out, I’m better in science” than baseball, says Toll, an internationally recognized neuroscientist who has done groundbreaking research in drug addiction and pain management. 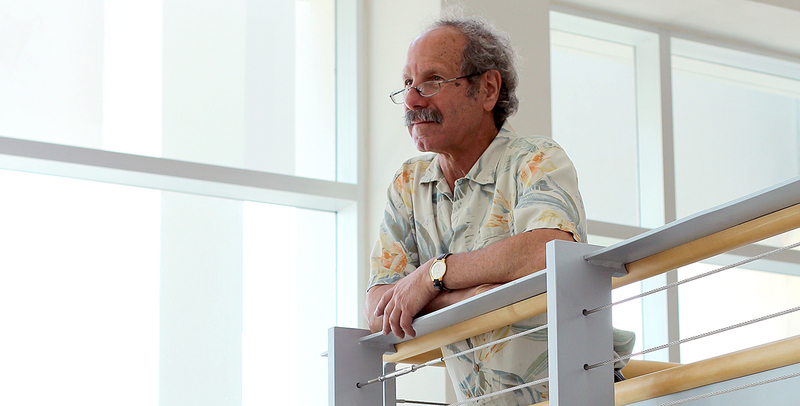 Toll is a professor at the Charles E. Schmidt College of Medicine and investigator at the FAU Brain Institute. His career path in science began in 1978 when he earned a Ph.D. from the UCLA School of Medicine, followed by postdoctoral fellowships at UCLA and Johns Hopkins University School of Medicine, with world-famous neuroscientist Solomon Snyder. Just before his 30th anniversary at SRI International in 2011, a research center in California, Toll joined Torrey Pines Institute for Molecular Studies in Port St. Lucie, Fla. as director of the neuropharmacology program. Now Toll is FAU’s first recruit under the 21st Century World Class Scholars program designed to recruit and retain top faculty in science, technology, engineering and mathematics to Florida universities. Toll is the president-elect of the International Narcotics Research Conference, one of many organizations he has been with for decades. While Toll may not have landed his boyhood dream to be a major-league pitcher, his success as a major-league scientist will continue at FAU where, Toll says, “It’s all possible. To order a print copy of the magazine, click here. If you would like more information, please contact us at dorcommunications@fau.edu.